Ed Archuleta, UTEP's director of water initiatives, has earned the Texas Desalination Pioneer Award from the Texas Desalination Association (TDA) during the fourth annual Texas Desal 2016 conference in Austin, Texas. "I am very humbled and proud to receive this honor," said Archuleta, a visionary in the field of desalinated water with more than 48 years in water and wastewater management. The New Mexico native served as manager of the El Paso Water Utilities Public Service Board from January 1989 through January 2013. He joined The University of Texas at El Paso in September 2013. Among his crowning achievements was the planning, construction and operation of the Kay Bailey Hutchison Desalination Plant, which opened in 2007. It is the largest inland desalination plant in the world. The professional engineer also is credited for the development and oversight of one of the country's first successful water conservation programs in El Paso. While dismissive of the visionary title, Archuleta admitted to being a "long-term thinker" who quickly saw the need to develop a long-term water strategy in El Paso that included conservation. His interest in desalination efforts dates back to the 1990s, when he began to study the technology and how it could be used in El Paso. He shepherded the concept among community, military and national leaders until they embraced it. "If it weren't for Ed Archuleta, the El Paso desalination plant would not have happened," said former U.S. Sen. Kay Bailey Hutchison, who called the honoree a pioneer in innovative water technology for Texas and beyond. "(The plant) really should be named after him," she said. At UTEP, Archuleta takes an interdisciplinary approach to helping develop the next generation of innovative water engineers. He works with the University's Center for Environmental Resource Management, Center for Inland Desalination Systems, and across the colleges. He helped develop the water resources engineering management track that is part of the master's degree in civil and environmental engineering. As a result of his influence in higher education, the TDA created the Ed Archuleta Desalter Scholarship Fund. The first recipient was Malynda Cappelle, a doctoral candidate in civil engineering at UTEP. 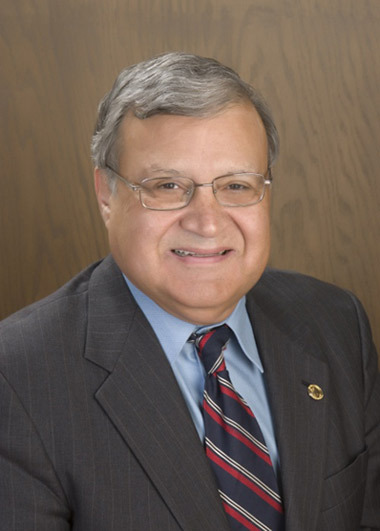 Archuleta earned his bachelor's and master's degrees in civil engineering at New Mexico State University and a Master of Management degree from the University of New Mexico. © 2014. University of Texas at El Paso. All Rights Reserved.